I love having salads for dinner in the summertime. When it's hot and you don't want something too heavy I find that salads make the perfect warm weather meal. This Southwestern Chopped Salad is another favorite of mine. I've made it with both chicken and ground beef and by far the ground beef version is my favorite. It's delicious! Cook ground beef until no longer pink. Add taco seasoning and simmer. Meanwhile add lettuce to a large bowl and add in the cheese, tomatoes, olives, black beans, and green onion and toss well. 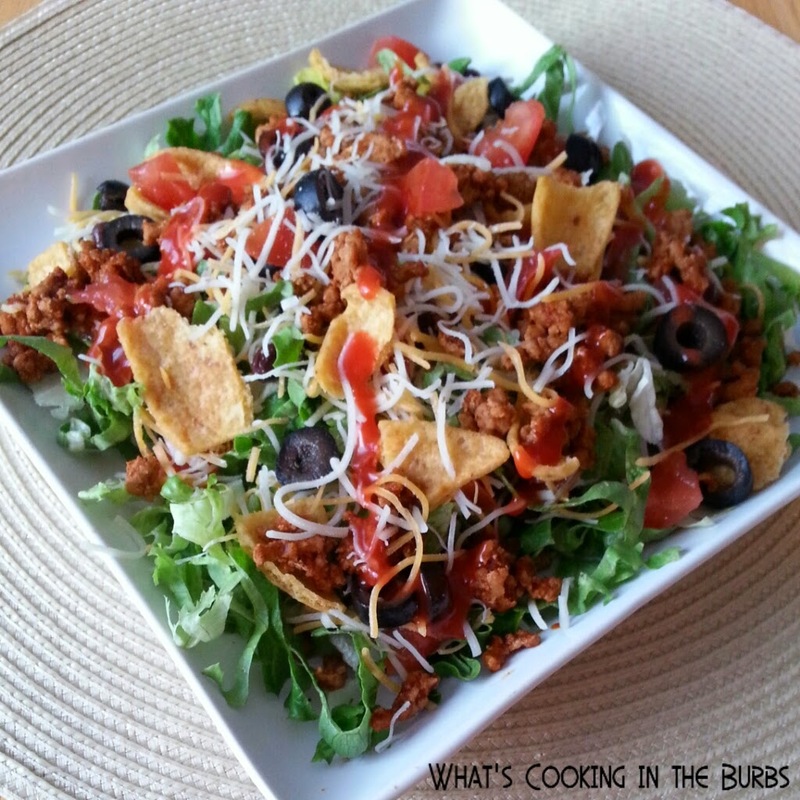 Next add the beef/ground turkey to the bowl along with the tortilla chips and toss. Drizzle Catalina dressing over the salad. Serve with sour cream and jalapenos if desired. Enjoy! Oh, how I wish I had everything on hand right now to make this! It is definitely going on my new menu though! Thanks for sharing - it looks delicious. Pinning. Thank you, Karen. I hope you enjoy! This salad looks so good. Pinned!! Thank you.